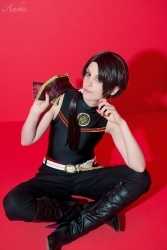 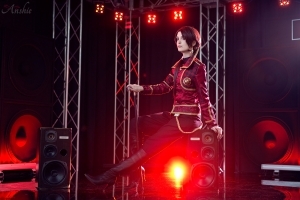 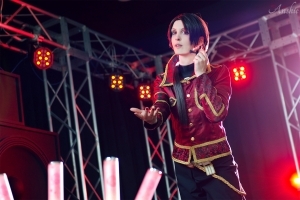 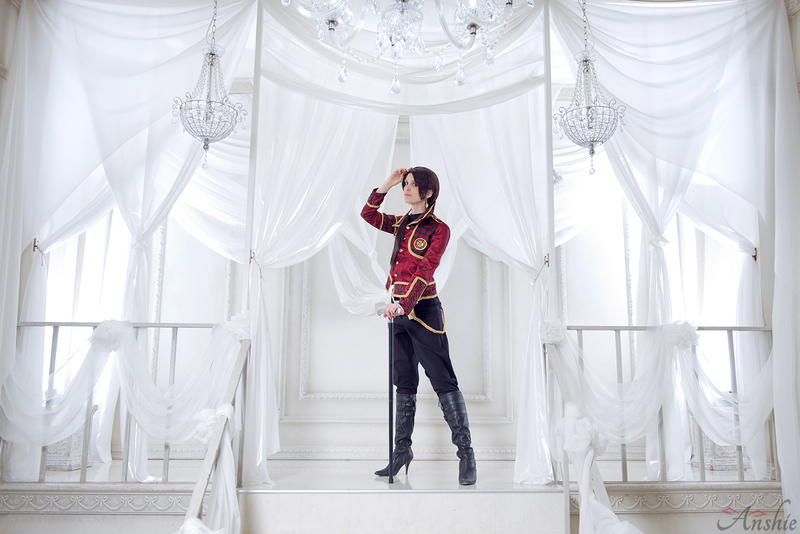 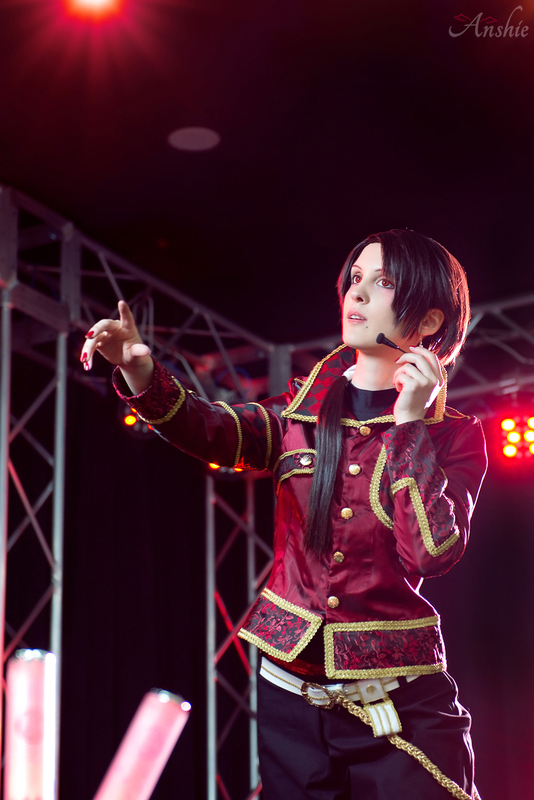 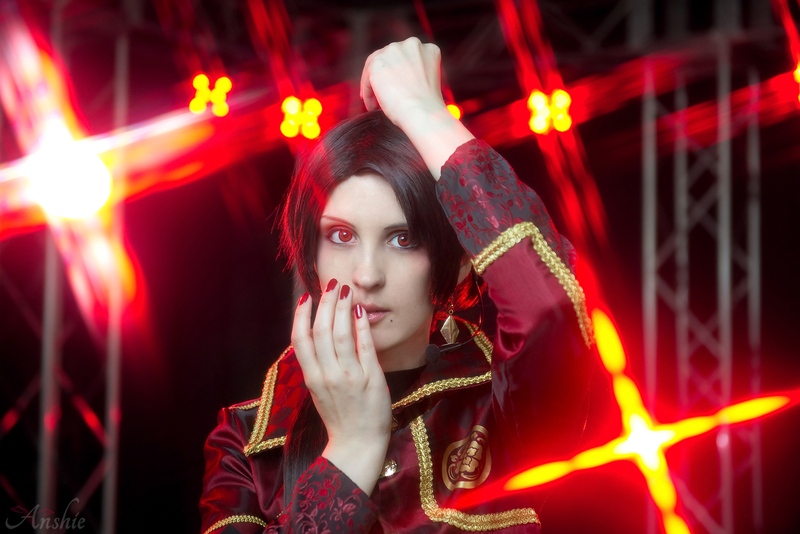 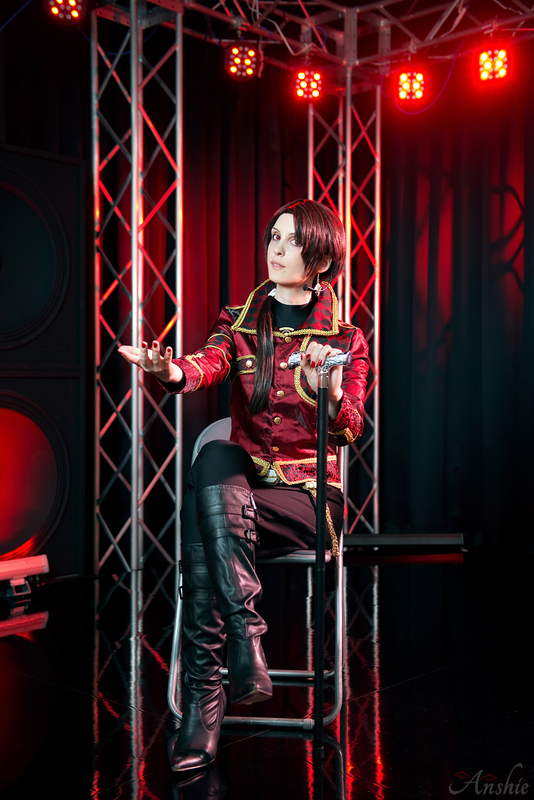 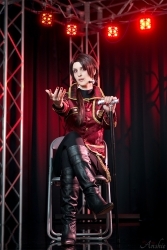 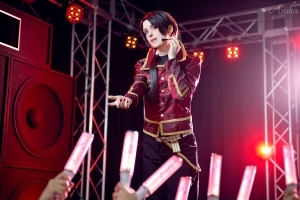 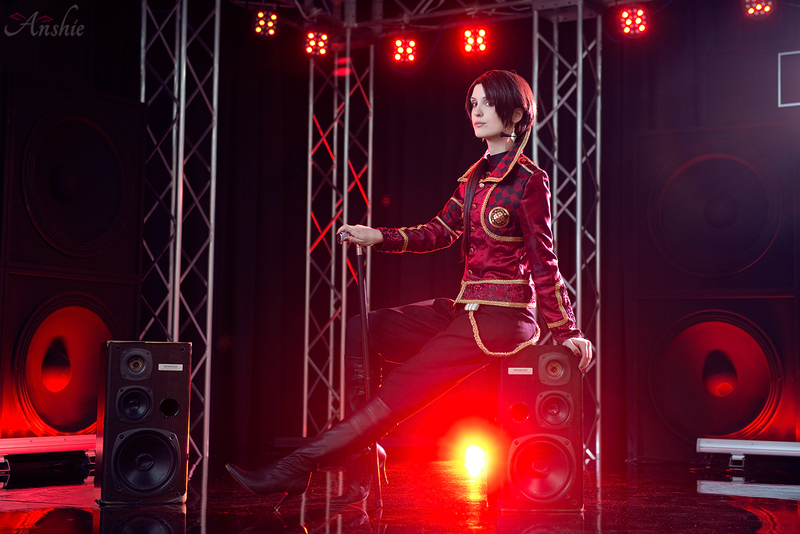 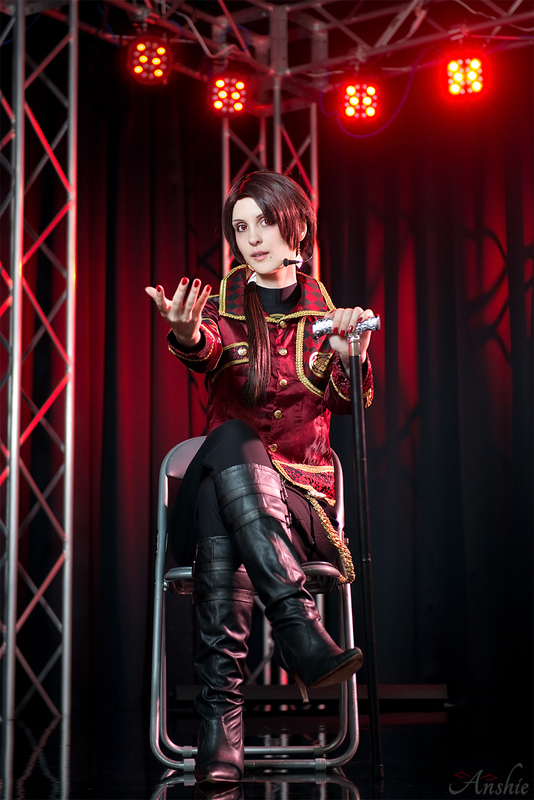 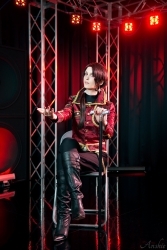 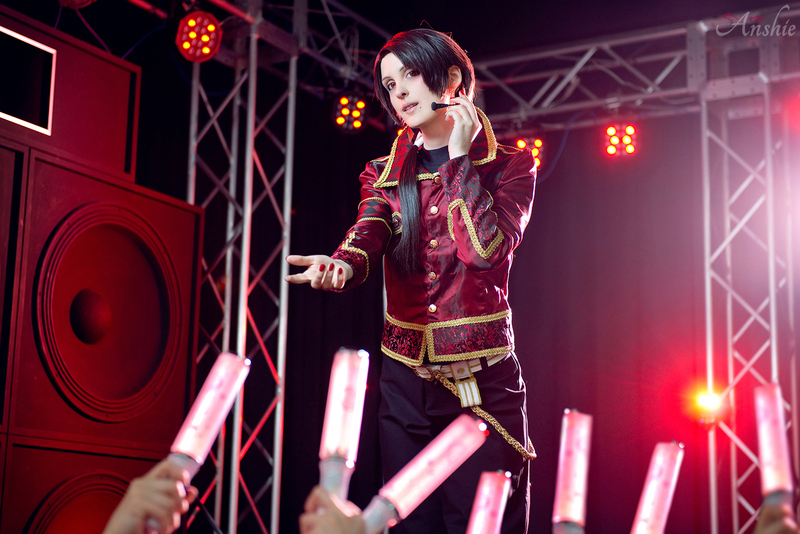 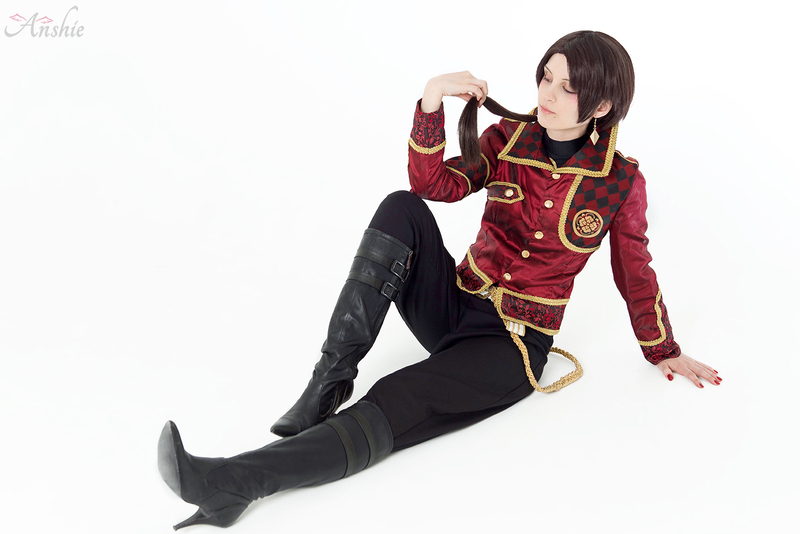 Incredible that this is already my sixth Kashuu version! 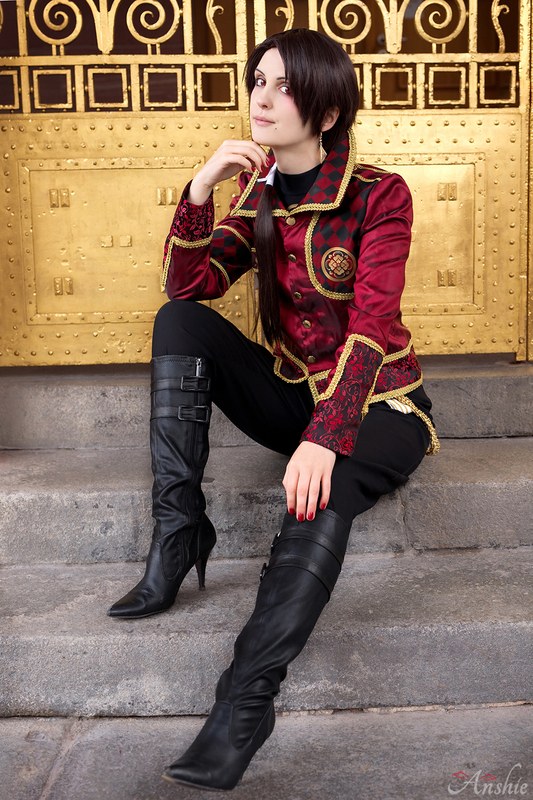 I absolutely fell in love with this red jacket the moment I saw it in the musical. 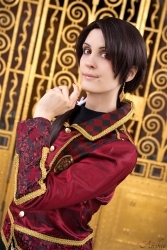 I’m always struggling a bit with cosplaing real characters, especially when they look nothing like me. 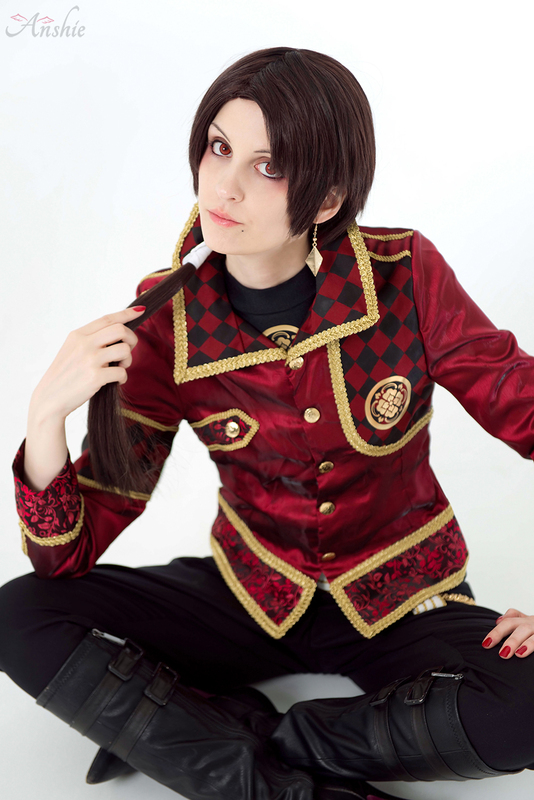 Sadly I’m not as hot as Sato Ryuji, ha ha! 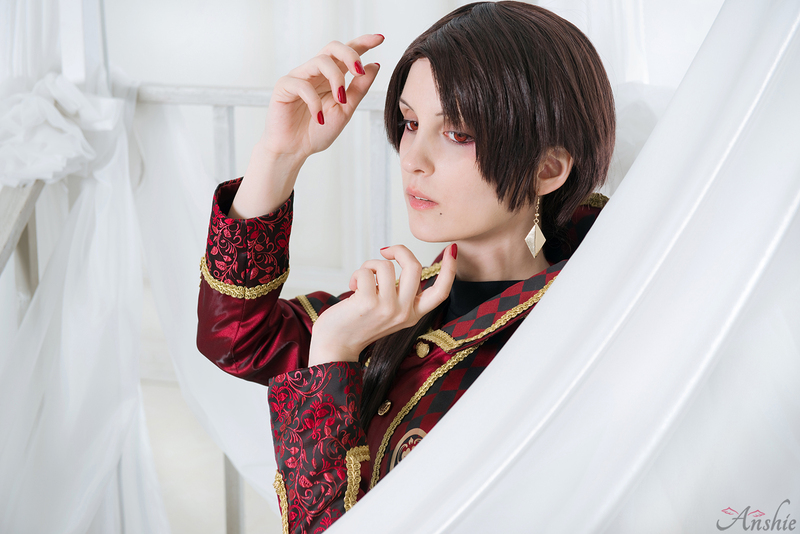 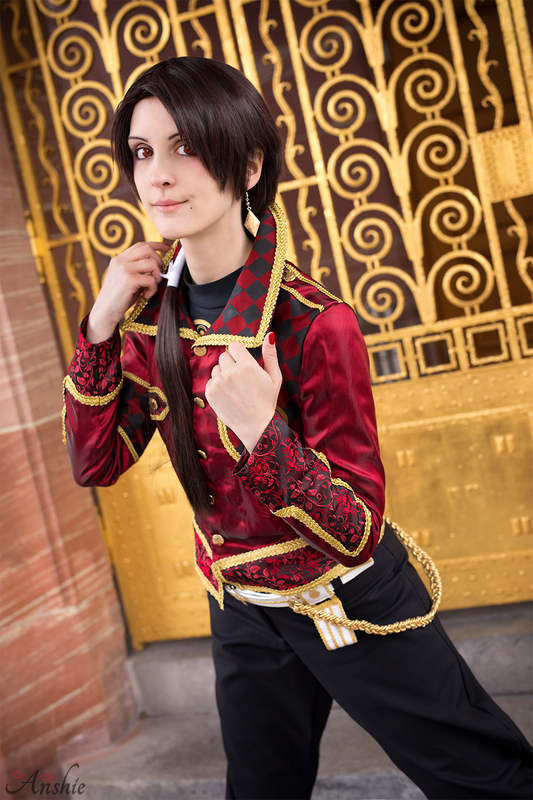 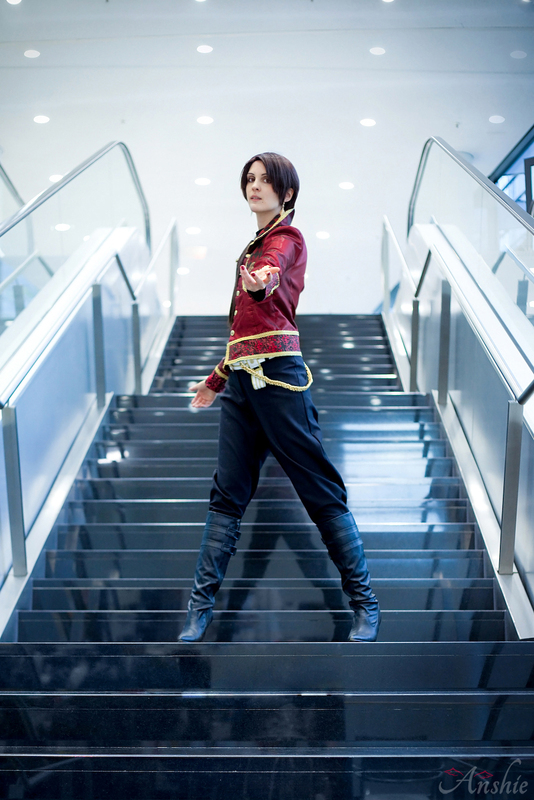 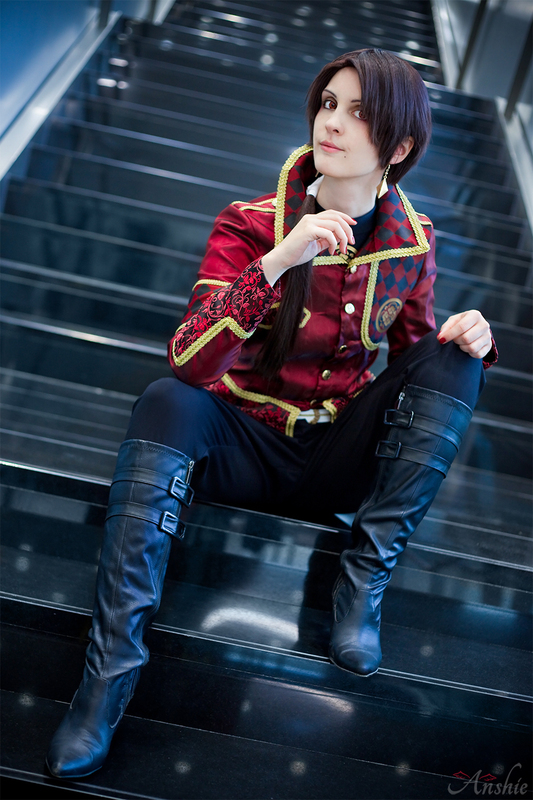 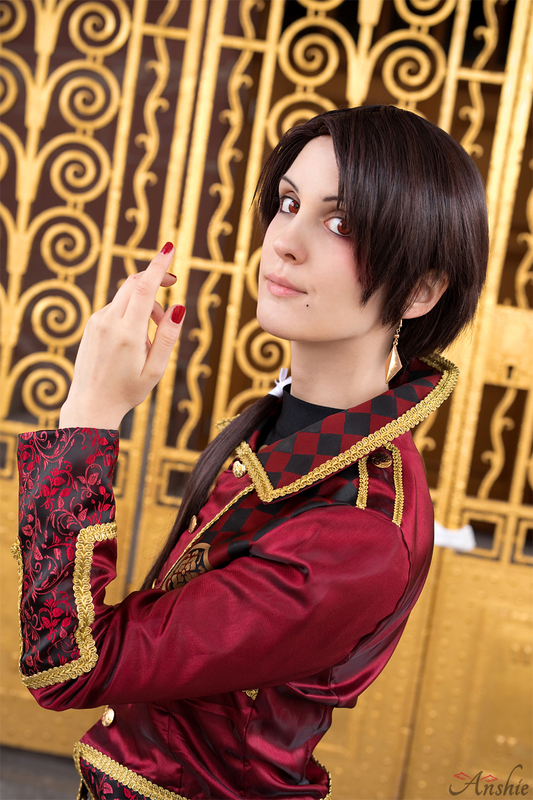 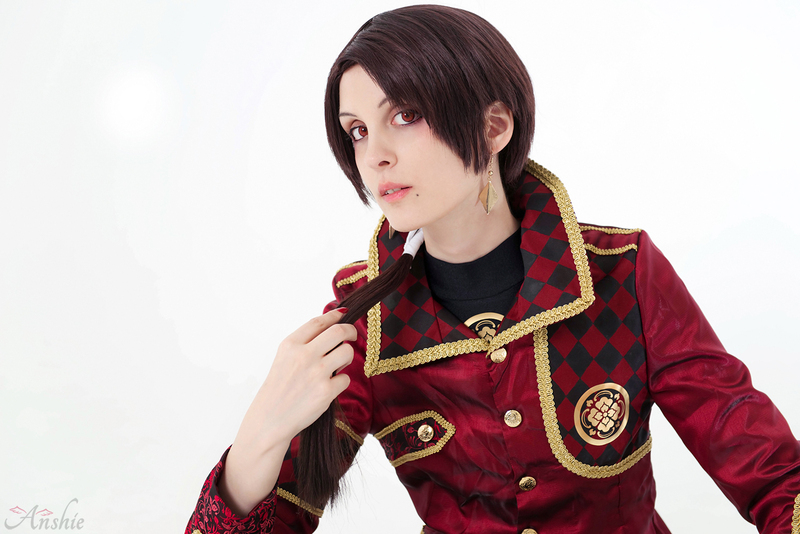 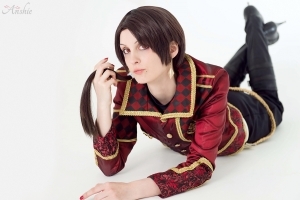 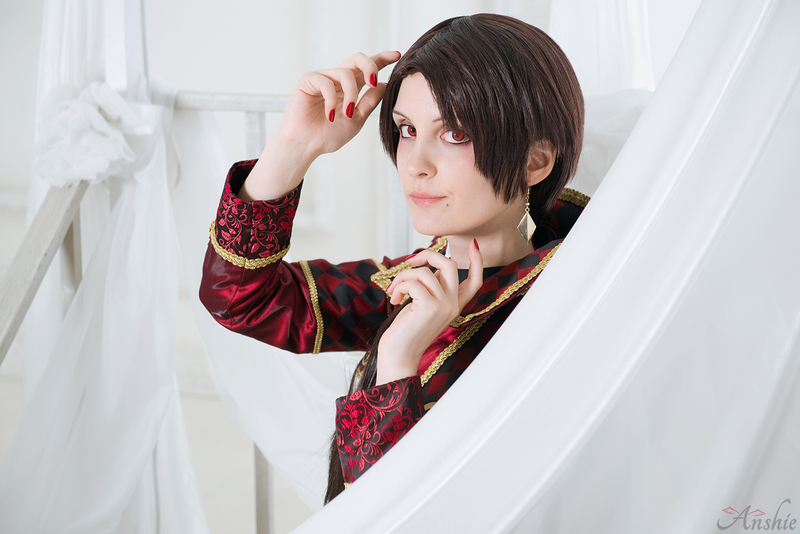 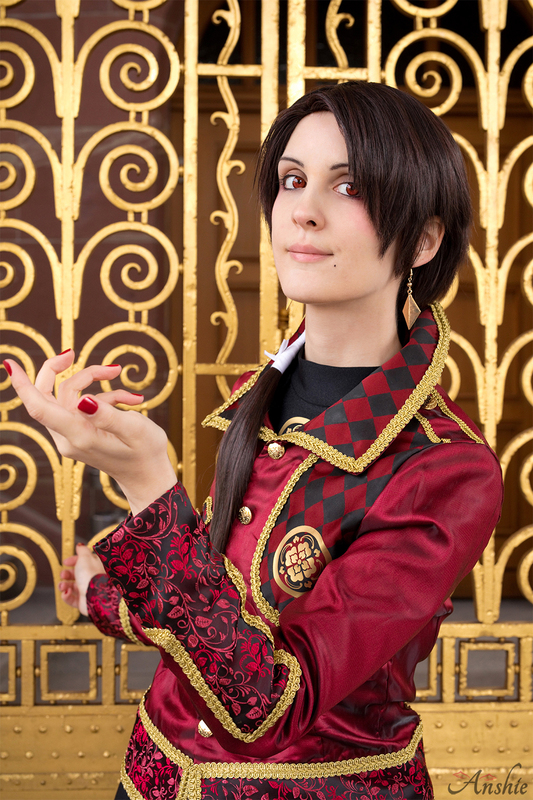 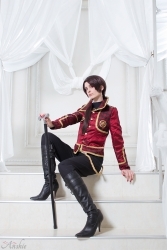 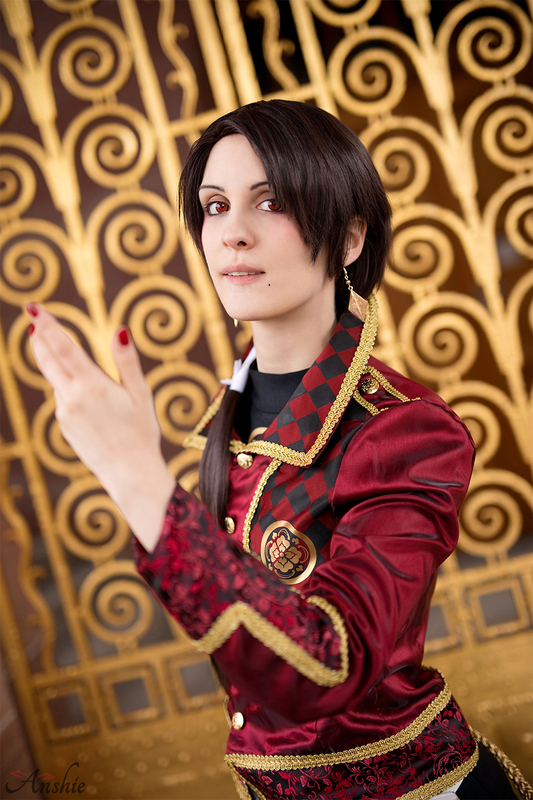 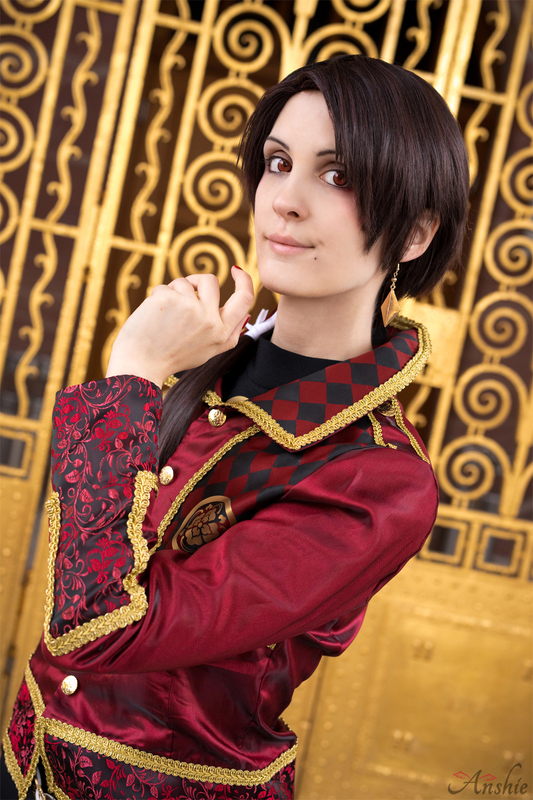 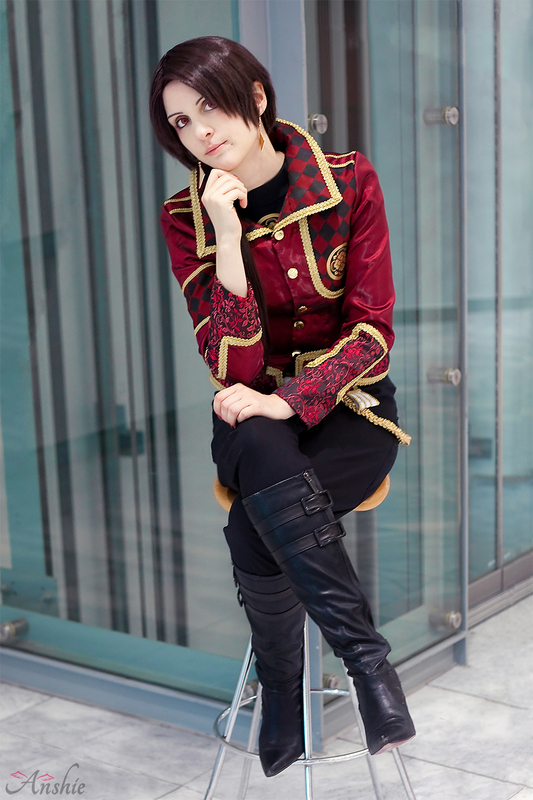 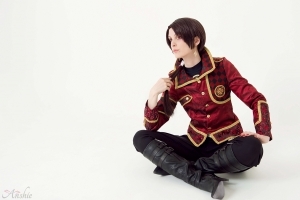 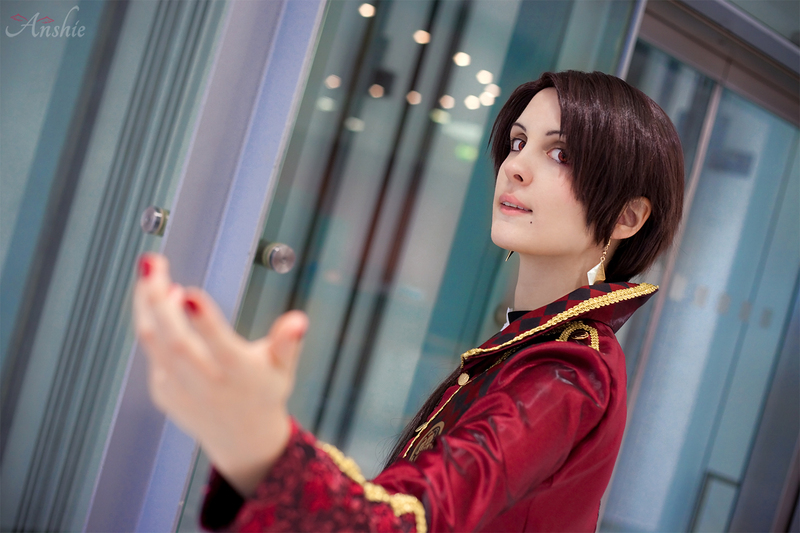 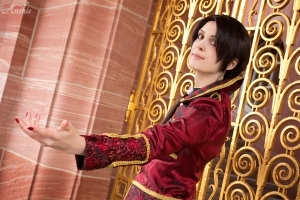 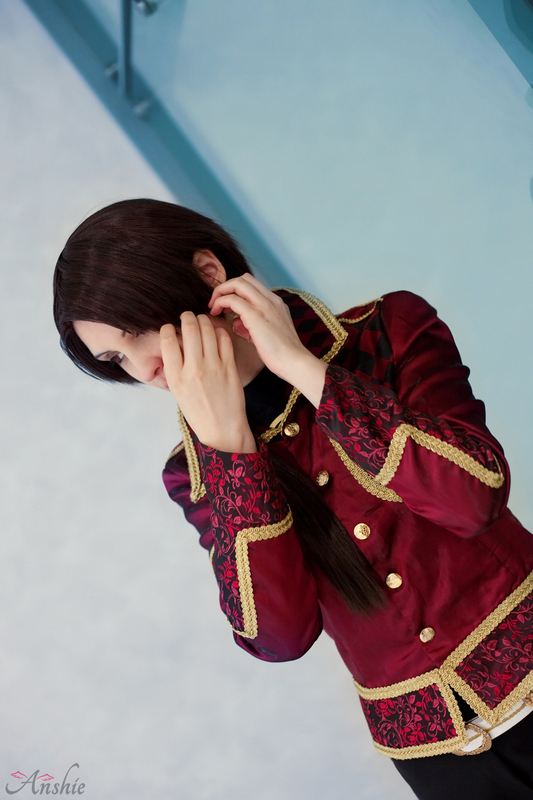 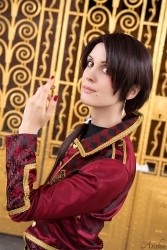 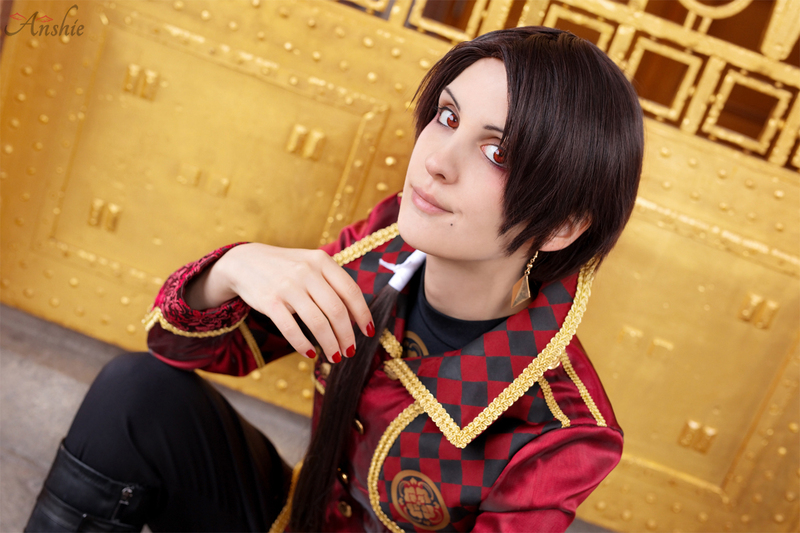 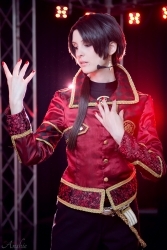 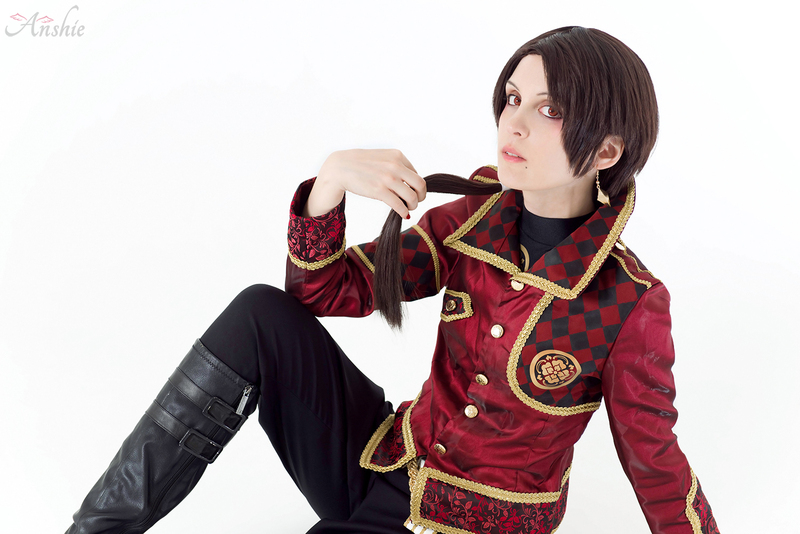 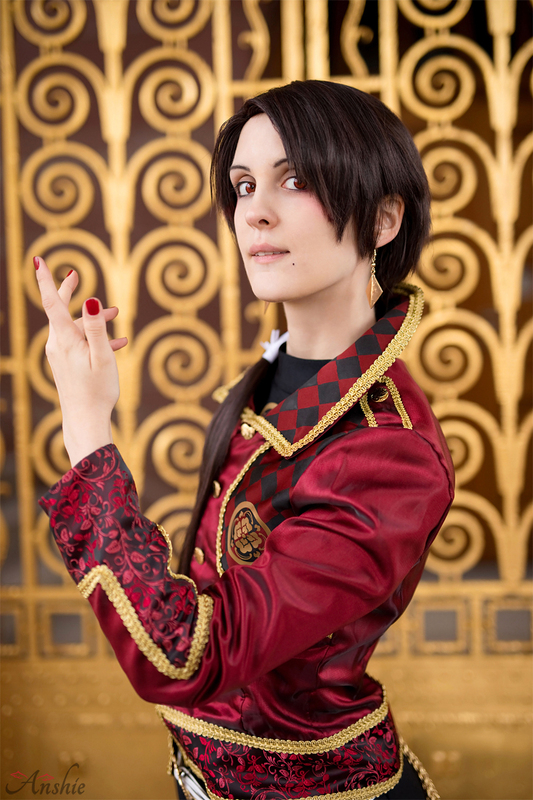 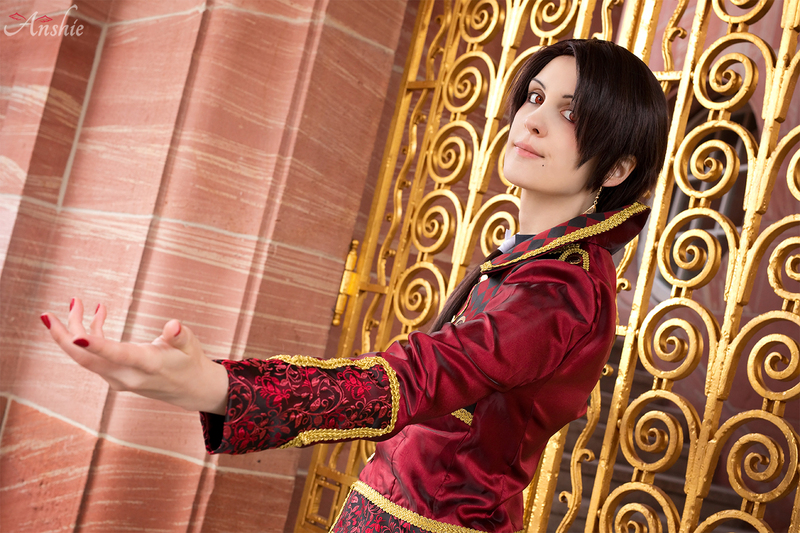 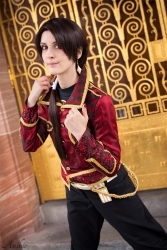 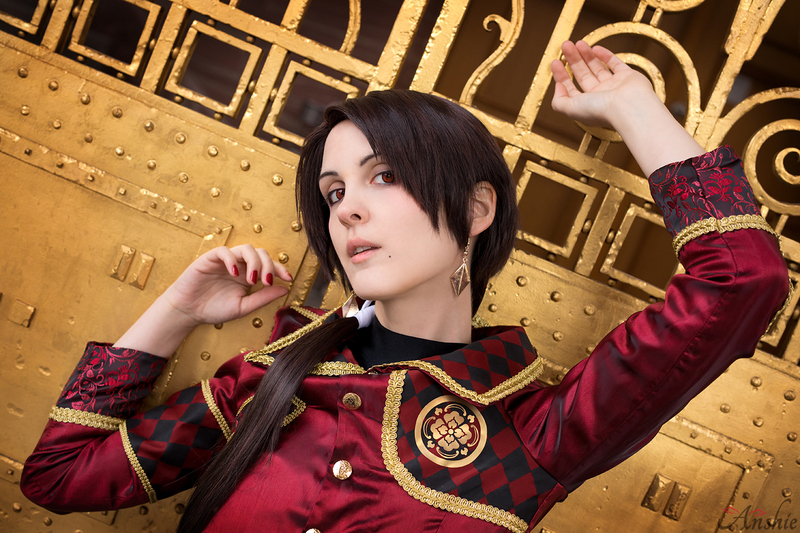 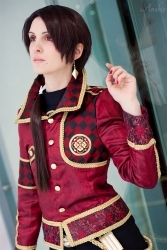 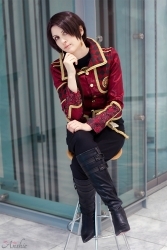 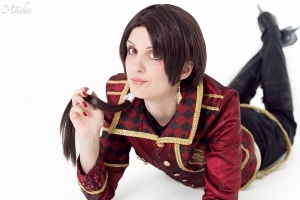 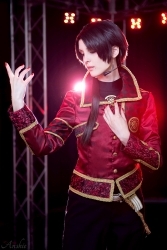 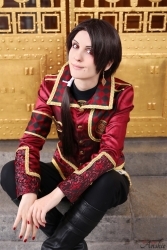 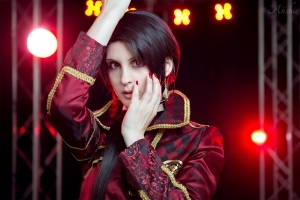 But in this case, Kashuu is still a fictional character so I decided to go for it anyway. The material for the jacket was so expensive that it still makes me wanna cry and I won’t say how much it was. 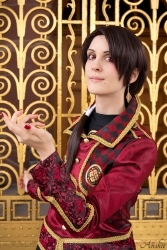 (^^)” I ordered the red and the flower pattern fabric from Japan and bought the golden braid there as well. 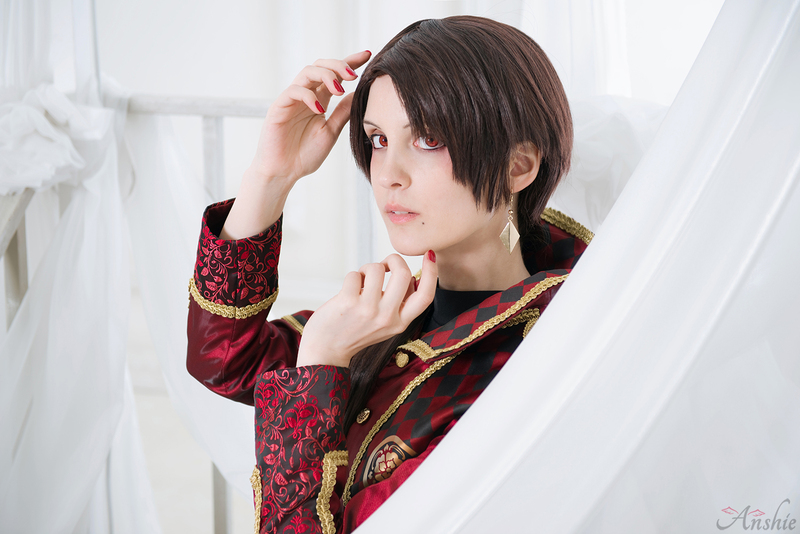 The diamond pattern fabric was hand-painted by me. 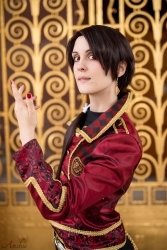 For the crest, I asked a friend with a plotter for help. 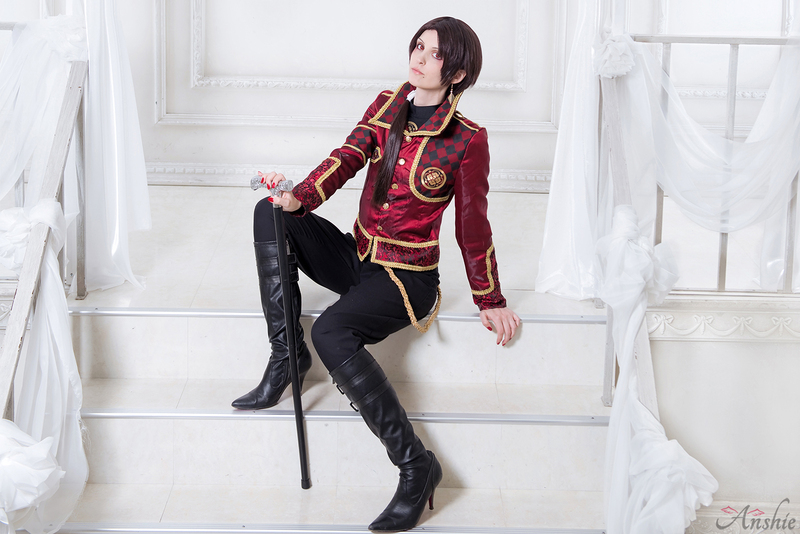 The pants are self-made too and I made the additional sword-holder for the belt which he wears in his normal game version too, but I didn’t have it yet because it was only revealed later in the artbook and can’t be seen on the first artworks. I also got new earrings because my old ones were worn-out and we all know that’s a no-go for this character, ha ha! 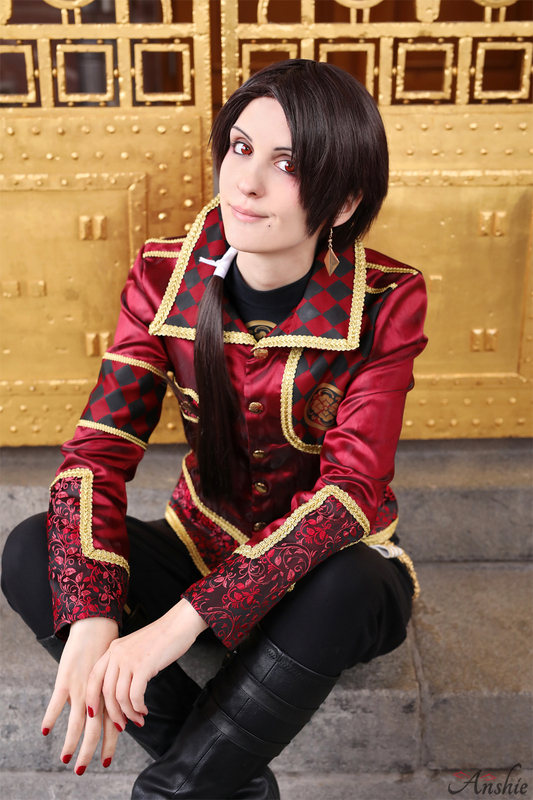 (^.~) I’m very happy with this cosplay. 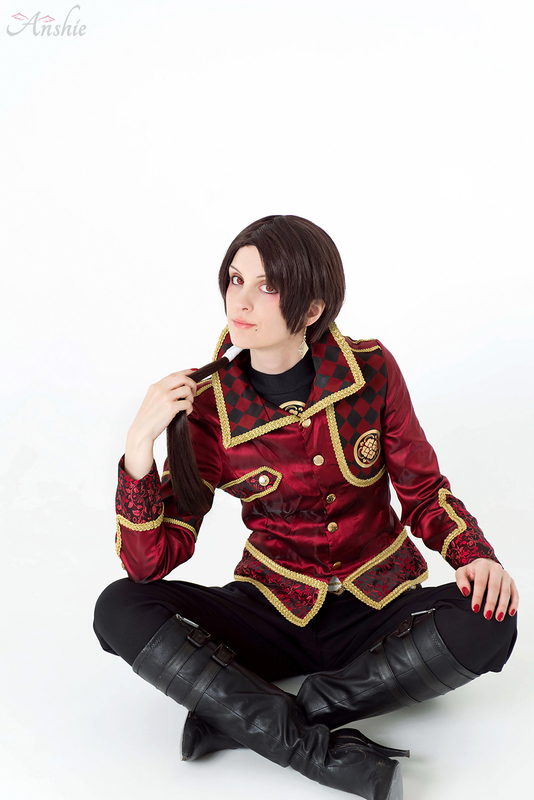 It’s definitely my favorite of the year.